Education Minister Naftali Bennett said Monday that if he were defense minister, he would instruct the IDF to shoot and kill any Palestinians who cross into the country from Gaza or send arson balloons toward Israeli border communities. 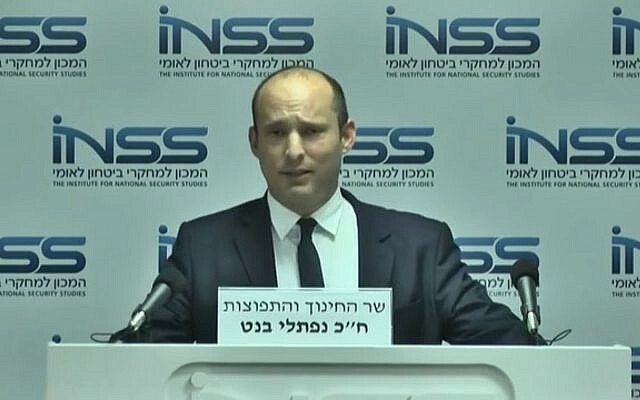 Speaking both on Army Radio and at the Institute for National Security Studies in Tel Aviv, Bennett, who heads the Jewish Home party, said not enough was being doing to prevent terror attacks from the West Bank, claiming that there were 102 homes of terrorists that had been prepared for demolition and were still standing. “We need to destroy the home of the terrorist. Not measure, destroy,” Bennett said, in a swipe at Defense Minister Avigdor Liberman. 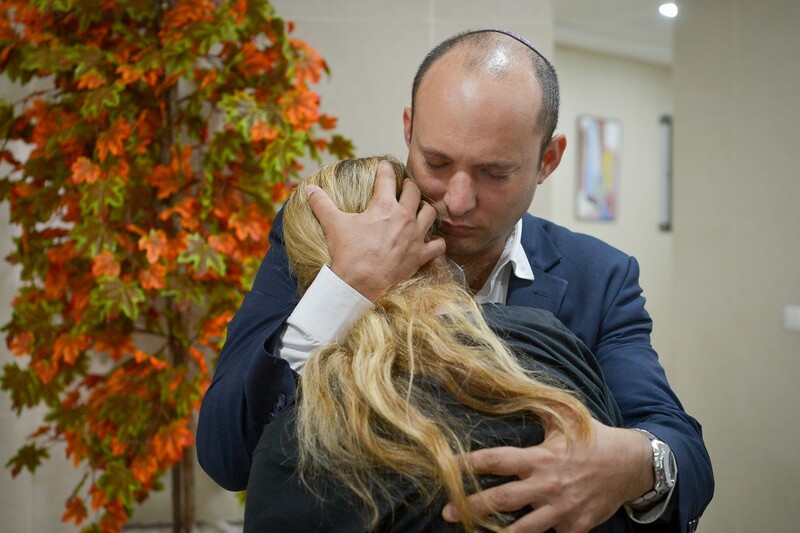 Bennett was speaking shortly after visiting the home of Kim Levengrond Yehezkel, 28, who was killed in a terror attack Sunday along with 35-year-old Ziv Hajbi in the Barkan Industrial Park in the northern West Bank. The Israel Defense Forces said Sunday that it had measured the home of Ashraf Walid Suleiman Na’alowa, the suspected gunman in the attack, ahead of its eventual demolition. 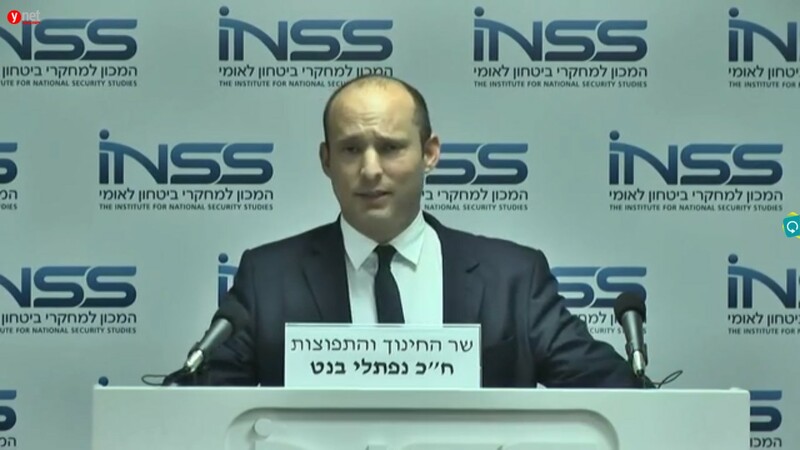 Bennett, who is a member of the security cabinet, also said that the state had to prevent the Palestinian Authority from paying terrorists, claiming that the family of the suspected terrorist in Sunday’s shooting will begin receiving NIS 15,000 a month starting in November. “This must be stopped,” Bennett said in reference to the PA’s policy of paying monthly stipends to families of security prisoners. Following days of verbal sparring with Liberman, Bennett was asked by Army Radio what he would do differently if he were defense minister. He also said that the army should shoot to kill anyone sending incendiary devices over the border. Bennett added that Israel should not make any further territorial concessions to the Palestinians. Liberman’s party, Yisrael Beytenu, hit back at Bennett, mockingly calling him a “hilltop youth,” a reference to far-right groups that set up illegal settlements in the West Bank. “The hilltop youth from Ra’anana and big talker from Jewish Home continues to play political games at the expense of the security of Israeli citizens,” it said in a statement. Gaza border riots, dubbed the “Great March of Return,” have increased dramatically in recent weeks. They began as weekly events from late March through the summer, but appeared to slow as Hamas entered indirect talks with Israel aimed at a ceasefire. As the talks have stalled, Hamas has increased the pace of rioting and demonstrations against Israel, and created new units tasked with sustaining tensions along the border fence including during nighttime and early morning hours. The clashes along the border, which Israel maintains are being directed by Hamas, have included regular rock and Molotov cocktail attacks on troops, as well as shooting and IED attacks aimed at IDF soldiers, and attempts to breach the border fence. Gazans have also launched incendiary kites and balloons into Israel, sparking fires that have destroyed forests, burned crops, and killed livestock. Thousands of acres of land have been burned, causing millions of shekels in damages, according to Israeli officials. Some balloons have carried improvised explosive devices. 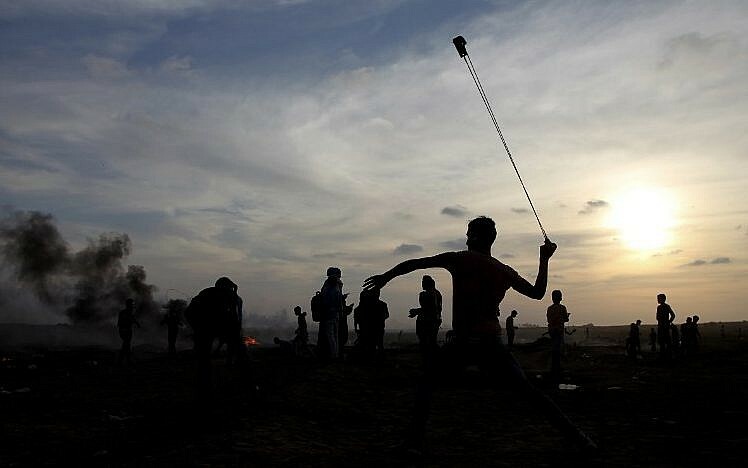 On Monday, thousands of Palestinians were demonstrating along the Gaza Strip’s border with Israel, with the Hamas-run health ministry saying some 30 people were injured in riots in several locations. Meanwhile, dozens of boats challenged the Israeli blockade and were intercepted by Israeli Navy boats.